Potato crops are susceptible to a variety of diseases that can impact on crop yield and quality. Syngenta’s Potato Crop Establishment Technical Manual provides useful information to help growers make informed decisions about Syngenta crop protection products, and assist in planning and timely intervention. Early intervention should be a top priority in any case, before diseases have an opportunity to overtake the crop. A proactive approach to disease control provides greater opportunity to sustain high crop yields and maximise the return on investment. The manual covers the period from harvesting, ground preparation through to the early crop establishment. Download the Disease ID guide here or by clicking the image below to learn more about each disease’s symptoms, disease cycle, conditions for development, and control solutions for each. 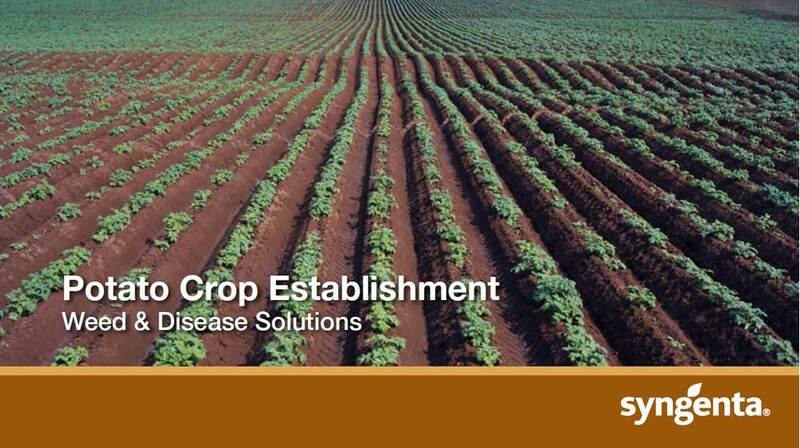 Click here to view the full Potato Portfolio range for disease management.